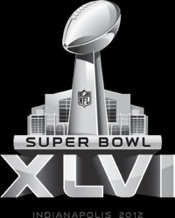 What are you looking forward to most about Super Bowl XLVI? The game? The parties? The halftime show? As the most watched TV broadcast of the year, the Super Bowl brings much hype. Although the football game is the most obvious reason why people tune into the broadcast, many people tune in for other reasons, specifically the commercials. Companies spend months strategizing, preparing, creating, and producing innovative and engaging commercials that will grab the viewer’s attention in hopes of promoting their product. In years past, the commercials were kept secret up until the moment they aired and were shown once during the live taping of the game, but last year some marketing officers went against the traditional approach and implemented a new plan of attack. As our society has become more and more engrossed into the world of social media, companies have discovered that combining their commercials with a social media overlay increases not only the awareness of their product, but also “gets the ball rolling” before the commercial airs live on TV. As described in the New York Times article, “The Pregame Show (of commercials) Beings,” Volkswagen of America tested out this new tactic in 2011 by combining social media sites such as YouTube and Facebook with their Super Bowl commercial. This new approach proved successful as the 2011 Volkswagen Passat Commercial has over 49 million views, making it the most watched ad on YouTube last year. In our technology-crazed world, it makes complete sense to combine these two aspects of media. As stated in the Wall Street Journal, “nearly 1 in every 5 minutes spent online is now spent on social networking sites” and “social networking sites now reach 82 percent of the world’s online population, representing 1.2 billion users around the world” (WSJ, 201l). With statistics like these, it is almost too obvious that marketing officers would use social media sites to enhance their ad campaigns. But why stop at tease videos and twitter hastags? The world of social media is so expansive that marketing officers could capitalize from Facebook campaigns, Twitter contests, YouTube video entries and so many other interactive activities to accompany their commercial. So marketing officers… I challenge you to make your 2013 Super Bowl commercial campaigns even more innovative and ingenious than you have brought to the table this year.